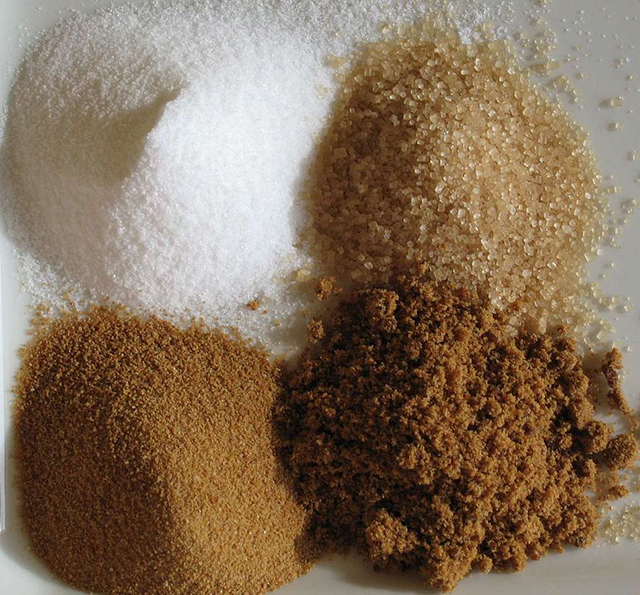 Learn how to avoid all the ways sugar sneaks into your diet. Sugar is one of those pleasures to avoid at all costs, but it tastes oh so good! There is a growing body of knowledge out there that shows the danger goes far beyond the empty calories that make you gain weight. Carbohydrate addiction can lead to heart disease or diabetes even in someone who has no obvious weight issues! The importance of cutting the sodas, juices, desserts and snacks in our diet is well-known. Even if you’ve done all the obvious things to cut carbs in your diet, the carbs you DON’T know about can max out your weekly nutrition goals. Many people consume more added sugar than recommended for a healthy diet. That’s because companies pile it on to make sure you enjoy (buy more of) their products. Processed foods often contain unlimited, unregulated amounts of sugar. Some of these foods would never have sweeteners as ingredients if made fresh at home. Imagine sprinkling sweetener on your spaghetti, eggs or burger! Look at the labels of your sauces and processed meats. Often you’ll find the entire family of sweeteners — corn syrup, fructose, sucrose — on an ingredient label in various amounts which leads to sugar being second only to sodium when it comes to dangerous ingredients overused in commercial food recipes (i.e. : restaurants, processed foods). Check out these links and learn the various ways carbs sneak into your diet. Work on lowering your risk of carbohydrate addiction! Wear your Sherlock Holmes hat when you read those food labels and menus! Quiz: How Much Added Sugar Are You Eating? Sugar is present in LOTS of food you might be eating because of the ‘halo effect.’ The sweetener content is often upped to make sure you approve of the taste of certain ‘healthy’ foods. A few of these undercover culprits: Chinese food, tomato soup, yogurt, ketchup, and granola. ‘Low-fat’ foods are also in this category. In 2015, the World Health Organization lowered the daily recommended sugar allowance to 25 grams — about 6 teaspoons — per day. Pour two teaspoons of Heinz ketchup on your hot dog or burger and you are halfway to your daily sugar limit! The U. S. Food and Drug Administration is now recommending our daily diet should include no more than 50 grams of sugar. That’s what you’d find in a single can of Coke. Changes being proposed by the F.D.A. will require information about “added sugars” be found on nutrition labels. Find out the foods that can increase your addiction to carbs and how to get the monkey off your back! Does Eating White Rice Raise Your Risk of Diabetes? Our daily rituals are putting way too much sugar into our bodies. A study says that extra sugar could be killing you. Can Exercise Erase a Sugar Binge? There’s lots of hype about ‘juicing’ — but it turns out that stripping all the fiber out of the fruit is robbing you of important nutrients. And, fiber is what contributes to that full feeling, which is important to efficient digestion. Originally published at The Celebrity-free Zone by Tony Bear!.